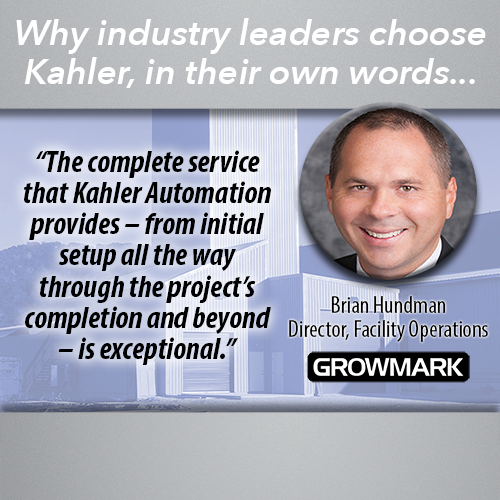 “Creating Quality Automation Solutions Through Innovation and Service” is what we are at Kahler Automation. We seek dependable, hardworking candidates who are not only looking for a job, but a career with our progressive team. For additional information on this position, call (507) 235-6648. Send resume and cover letter to: Kahler Automation, c/o Human Resources, 808 Timberlake Road, Fairmont, MN 56031 or e-mail to HR@kahlerautomation.com. 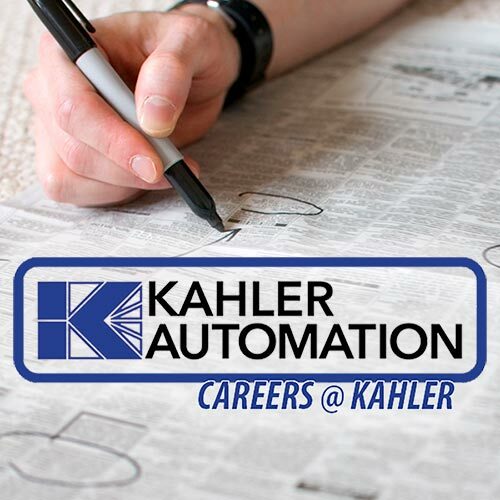 Summary: This multi-faceted position involves working in various areas of Kahler Automation’s production floor including mechanical assembly, wiring, and testing. Full-time position based in Fairmont, MN. Mechanical Assembly — Install pumps, valves, and flow meters on mechanical frame. Install electrical wiring from control cabinets to pumps, flow meters and air lines to pneumatic devices in according to blueprints and wiring diagrams. Prepare cabinets for wiring and perform a variety of metal fabrication duties. Enter production data into NetSuite ERP daily. Square, align, and assemble bases, mounting brackets, cabinet frames, or equipment structural components, on floor or a frame. Review drawings provided by Engineering and assist others in performing equipment installations according to specifications. Drill and tap holes in specified locations for mounting pumps and control units using manual drills, CNC mill, or hydraulic punch. Develop an understanding of customer’s needs, and take actions to ensure that such needs are met. Attach pumps, flow meters, control panels, electrical conduit, pipe, hose, air line, brackets, braces and many varied devices with bolts and screws. Cut, strip, bend, and form steel mounting hardware, conduit, pipe, and tubing used to connect plumbing, power circuits and subassemblies. Connect color-coded wires. Wirer — Install electrical wiring and assemble components in control cabinets, electrical and industrial equipment, and related industrial apparatus, according to blueprints and wiring diagrams. Square and align the layout of components on back panels and electrical enclosures. Attach breakers, relays, contactors, bus bars, transformers, insulators, power supplies, motor over loads, PLC, meters, and fuse blocks to mounting holes with bolts and screws. Cut, strip, bend, and form wire cable, conduit, pipe, and tubing used to connect circuits and subassemblies. Connect number-identified or color-coded wires. Perform wiring from schematics, drawings and other documentation. Observe wire bending radius as per UL specification. Install components, units, and printed circuit boards, following specifications and using hand tools and power tools. Test Technician — Perform final inspection on control panels, plumbing assemblies and mechanical components by performing the following duties. Perform final inspection and testing on electrical control panels and mechanical assemblies using inspection procedures or wiring schematics and drawings. Complete quality control documentation of the item being tested. Load programs onto computers, PLCs and HMIs and test functionality. Configure motor drives, scale indicators and other electronic components. Troubleshoot and repair or replace defective components within a control panel or assembly. Technical skills are a must including a familiarity with basic electrical logic, industrial equipment including pumps, transfer equipment, electrical panels and facility experience. Prefer a two-year college or technical school or related work experience. Inquire for complete descriptions of the position’s skill requirements, physical demands, and work environment.